Many visitors said that the downloadable materials posted in this website are very hard to download. There are lots of complains regarding the files safety so I wrote this article to explain the process on how to download those materials. 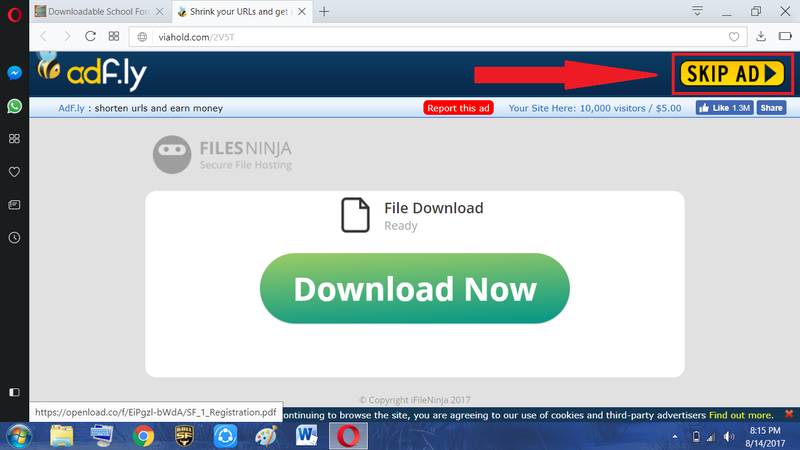 Before we start, I just want to clarify first that ALL FILES POSTED ON THIS SITE ARE SAFE AND FREE FROM ANY VIRUS OR MALWARE. Please continue from reading this simple instruction so that you'll be guided on how to download those files. Okay let's begin! Step 1: Click the link. You have to click the link of the file that you want to download. Example is the School Form 1, click it and a new page will open. Step 2: Wait for 5 seconds and then click the "SKIP AD" button. The page should look like this. Wait until the page is fully loaded. You'll eventually see a number count-down from 5-0 then after that, the "SKIP AD" button will appear. Click that button and you'll be redirected to the download page. Take note that there might be some popup advertisements upon clicking or in some cases, new tab will open automatically in your browser. Don't worry that's normal, you just have to close that tab if ever there is. Closing the tab means ignoring the ads to continue to the download page. In some cases, login credentials are required. 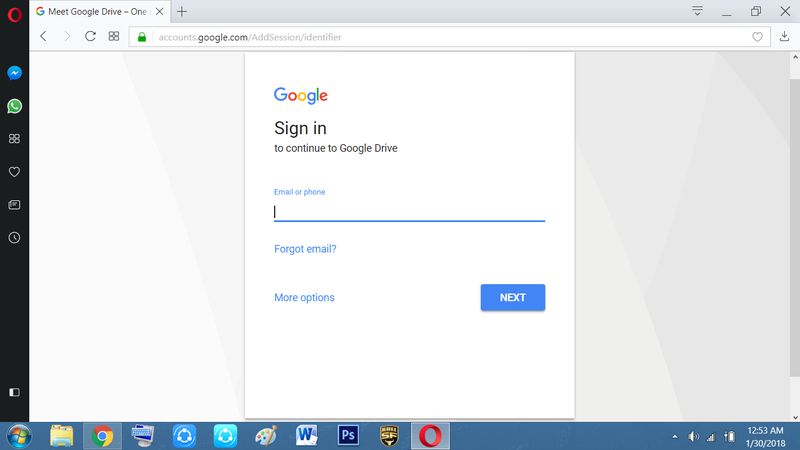 This happens because the files were hosted at Google Drive. Don't worry your account is safe and secure because that page is officially from google. See the screenshot above. 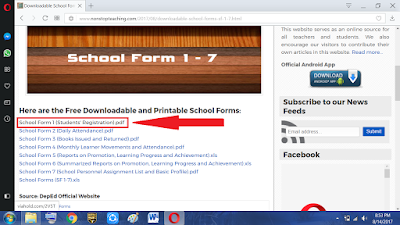 The red arrow is pointing to the download button. Just click it. Congratulations!!! File is now downloaded. 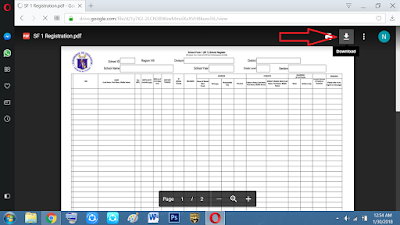 Please take a look at the screenshot above. 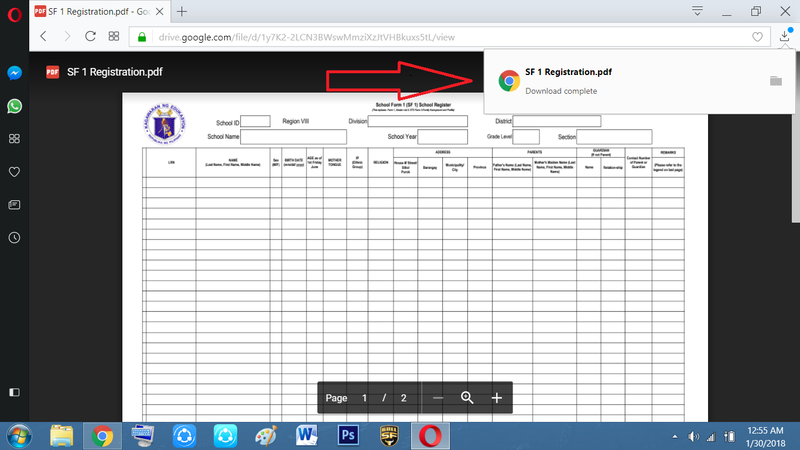 In some browsers the file downloading section is displayed on the bottom part of the browser. I'm using Opera Browser that's why it looks like that. That's their Browser Interface. What about if I am using my mobile phone or smart phone? Don't worry, the steps are just the same. Just follow all of the steps above and you can download the file. Why don't you just upload it on the other free file hosting site without any advertisements? There are some expenses on this website, including the domain renewal (www.nonstopteaching.com). We're monetizing this so that we can preserve the website. "Learning is an evolutionary process"
What's the connection of that quotation? I'm just relating it to that principle. If you understand that quotation, you'll eventually understand why I included it in this article. So much for that. Thank you so much for reading this simple instruction. I hope that there'll will be no more haters. Those files are safe and free from any viruses or malware. What you'd seen are just advertisements and false alerts just to catch your attention. If you have more questions just leave a comment below. Dear creator thanks so much for the site..
Mapeh major po ako...please me..